Jha was interacting with the media to promote the film here on n Tuesday. As a director, he has helmed serious films like "Gangaajal", "Apaharan", "Raajneeti" and "Aarakshan". But now he is producing a comedy film like "Fraud Saiyaan". Asked whether he has changed gears, he said: "No, it's not like that. People definitely feel that I make serious and political films but I feel there is comedy in every film. This film has great comedy and now we all know that there is lot of comedy in today's politics." 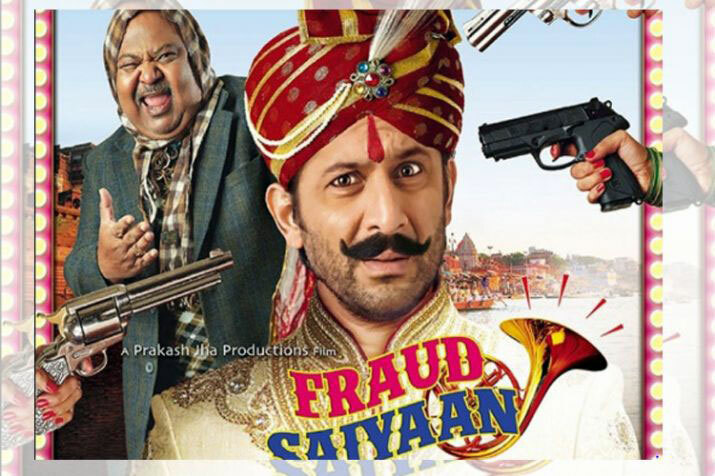 He said "Fraud Saiyaan", directed by Sourabh Shrivastava, is a typical Hindi heartland comedy film. "Its story exists in Banaras, Jaunpur, Gorakhpur and Mathura. When Arshad Warsi and Saurabh Shukla came together for this film, it was an icing on the cake. Then I decided to back and present it." Jha said he has never forced other filmmakers under his production house to make serious films like him. "I have earlier produced films like 'Crazy Cukkad Family', 'Lipstick Under My Burkha' and 'Dil Dosti Etc', so I don't think every filmmaker under my production house should make films the way I do. Personally, I have different stories to tell but I enjoy watching comedy films. "I think we have made really good film and the kind of enjoyment I felt while watching the film, I am sure audience is also going to experience the same in theatres after its release," he added. Emraan Hashmi-starrer "Cheat India" will clash with "Fraud Saiyaan" when the films release on January 18 at the box office. On the clash, Jha said: "It's really nice because that Friday will belong to frauds and cheaters in theatres."